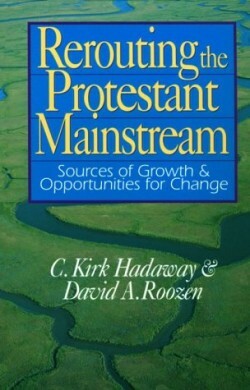 Author(s): Hadaway (C. Kirk) and Roozen (David A.). Subject(s): Church growth, Liberalism (Religion) - History, and Liberalism (Religion) - Protestant Churches. Rerouting The Protestant Mainstream is a tightly focused analysis of trends, markets, denominational influences, and directions for the future. It explains why some churches are growing and why others are not, and helps pastors know how to go about improving their churches and helping them to grow.